Tremendous strength, military grade dependability and resilience to water join forces in the Mile Marker H10500 Hydraulic Winch. It's got all the features you'll need, no mater where life leads you. Rated at 15000lbs. of pulling power, your Mile Marker H10500 Hydraulic Winch has plenty of backbone for even the heaviest hauls. Rather than running off an unreliable 12-volt battery, the Mile Marker Winch's 17.9ci hydraulic motor taps into the massive might of your power steering pump. 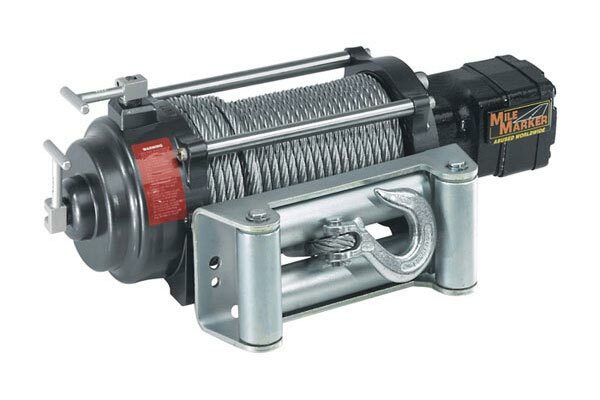 Your Mile Marker Hydraulic Winch passes the ultimate test of dependability: the US Military's. Mile Marker's hydraulic system runs the winches on the Humvees that carry our brave soldiers across foreign soil. Even sever weather conditions won't stop the Mile Marker H10500 Hydraulic Winch from getting the job done. It's sealed-up tight, has a heavy-duty anti-corrosion finish and is even fully functional underwater. Backed by a 2-Year Warranty. The Mile Marker Power Steering Pump Hydraulic Winch can be purchased in either the "H" Series or the "HI" Series. The "H" Series has a separate solenoid assembly that can be remotely mounted from the winch. 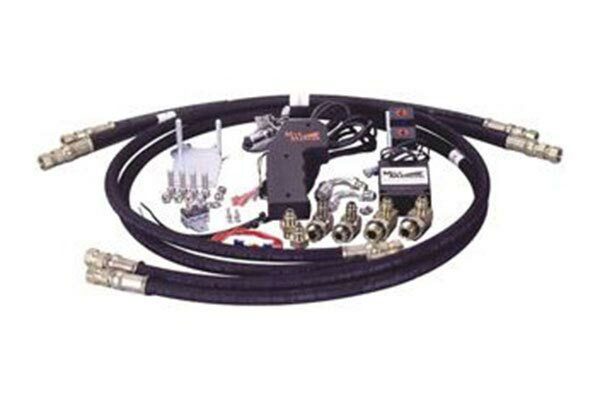 The "HI" Series has an integrated solenoid valve, so it's always close to your winch. Reference # 753-515-114 © 2000-2019 AutoAnything, Inc.